On Nov. 19, members of FAST visited my facility to view castings, porosity, cut-away castings, tooling, and discuss and ask questions regarding the new Model A engine project. The PowerPoint presentation from the MARC 2010 National was displayed. 9 Castings have been poured to date. The cores for casting #9 were made around Thanksgiving, the casting was poured on Dec 22, and the mold was broken open on Dec 27. 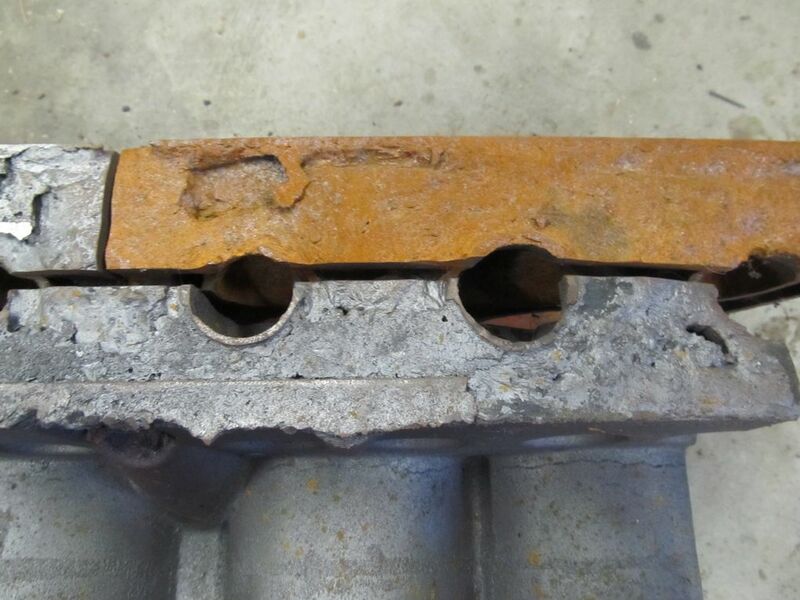 It was noted during core placement and mold closure for casting #9 that there were a few fit problems that are likely due to the length of time that the cores sat around. Casting #9 did not display the porosity seen on castings #2 through #8. However casting #9 had a thick parting line and a few core shift problems. 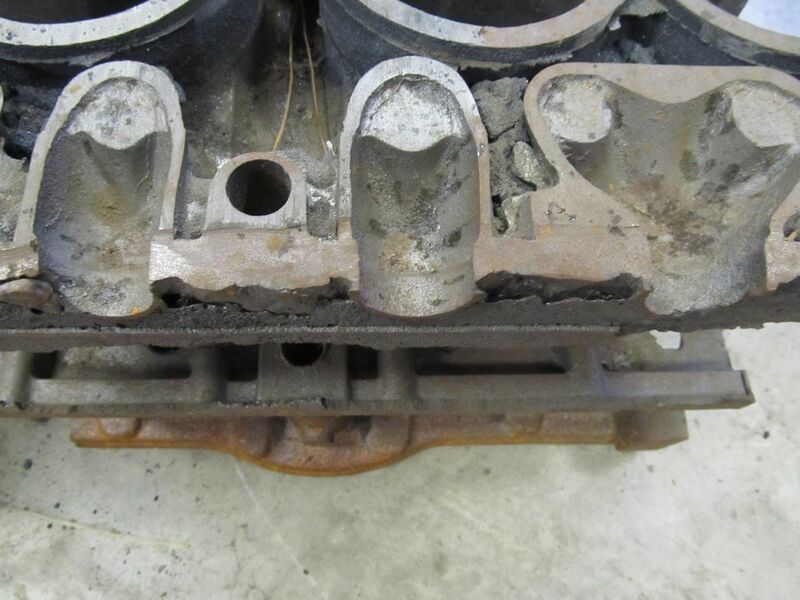 The porosity that is the problem comes from the hot iron vaporizing the core binders and the glue used to hold the cores together. This vaporized material collects at the high point of the mold which will become the machined manifold mounting surface. The pictures in attachments 1 and 2 shows what the porosity looked like on casting #7. Casting #7 was cut apart to determine the depth of the porosity. Attachment 3 shows casting #9 in the shot blaster with no porosity. 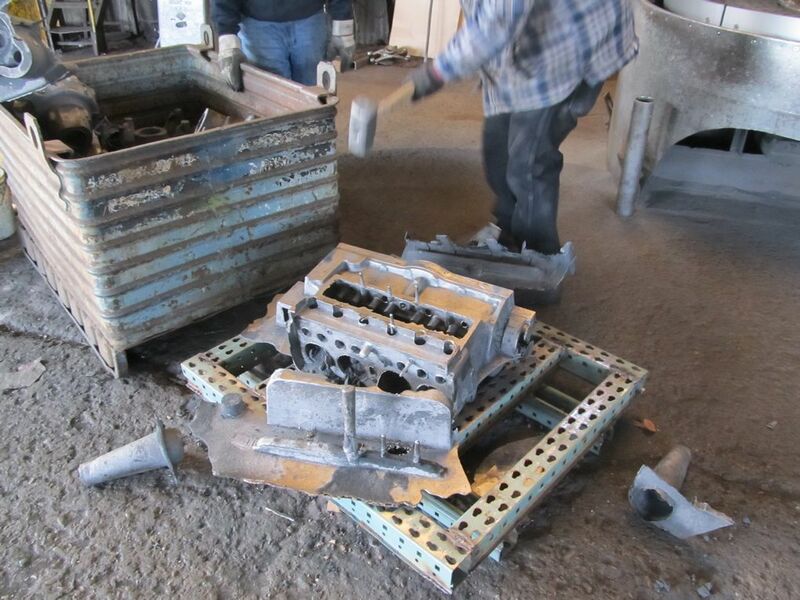 On Dec. 27, 2011, a technical meeting was held at Lodi Iron Works to discuss the results of casting #9. Everyone was happy to see that the entire exterior surface (with exception of the thick parting line) of casting #9 looked good. During these technical meetings, everything is discussed in an effort to make a better casting at a lower cost. My action items from the meeting are to reduce the volumes of the unused cavities in the mold. We are not ready to make permanent gating changes to the cope and drag patterns at this time. Hopefully casting #10 will be on display at the Turlock Swap Meet at the end of Jan. 2012. It will be in the building 1, Space 3 with John LaVoy and the Model A Times. Good castings of these parts for the new Model A engine have been made and are awaiting a good cylinder block casting so all can go together to machine shops for bids on machining. The next update will be in about 2 months or sooner if casting #10 is good.